Discussion in 'Photographers Phorum' started by Teegate, Sep 30, 2018. Those are great finds Guy! Good detective work again. "It couldn't get any worse"
I'm amazed on how you find these stones in such conditions, especially the ones that are buried. I wanted to keep working on these stones so we decided to come in from the south and cross the gum and cedar swamp to try an avoid the briers. It was a good decision and we made good time getting there with very little struggle. 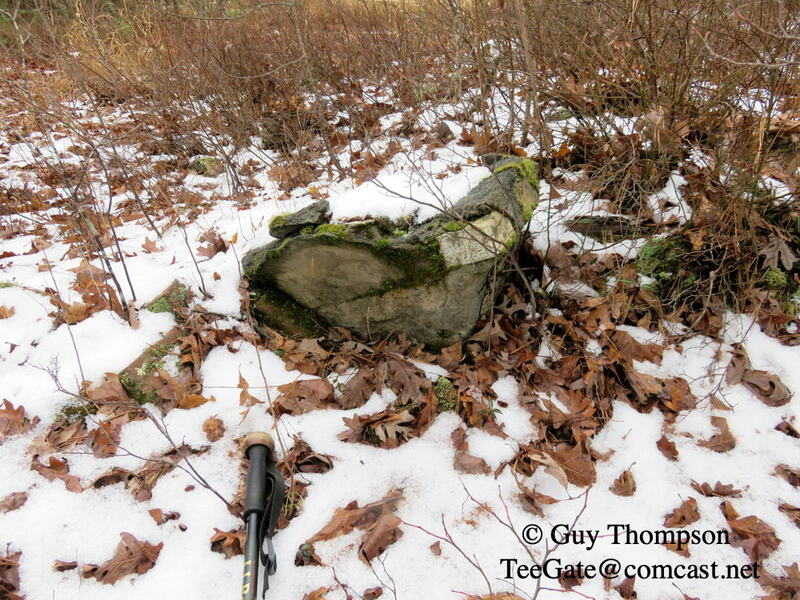 In no time we had found the stone and even though it is small I am pretty certain it is a Arnie Lippincott Stone. The old deed describes the location from another AL stone I found in the past. 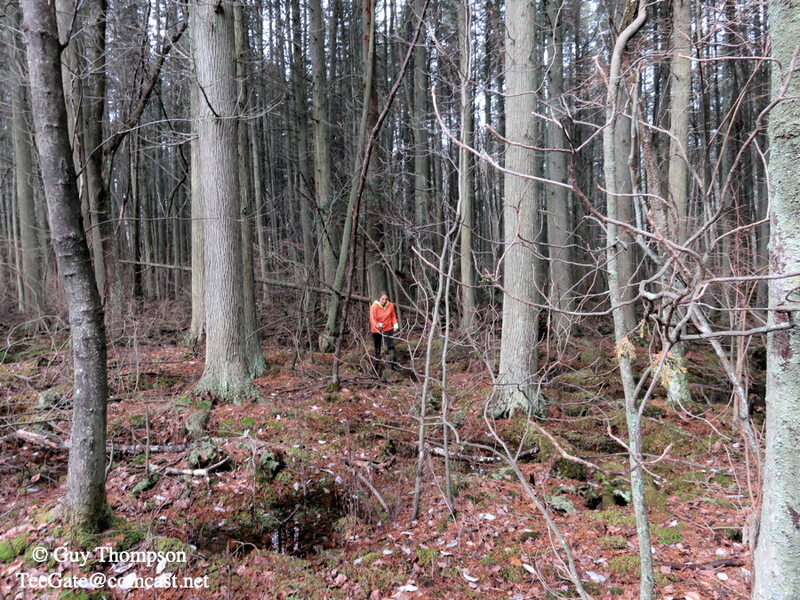 Nobody goes in these woods and it is void of trash but quite inhospitable. John, RednekF350 and manumuskin like this. The state has acquired a large tract of land and added it into the Wharton State Forest umbrella. About a year ago I heard rumors of this and recently they have put up signs and it is now accessible. Unfortunately, or fortunately, depending on your opinion, the property is not accessible by vehicle traffic. You must walk. And as you might expect there are possible stones that I can access through that property so this morning I did just that. I had received permission by phone a year ago to come in from the north along Sooy Road, but I just have not made the attempt because it was troublesome from that direction. So early this morning I headed in and took this photo early in my travels. The stone I was looking for was reported to have a "W" inscribed on it. 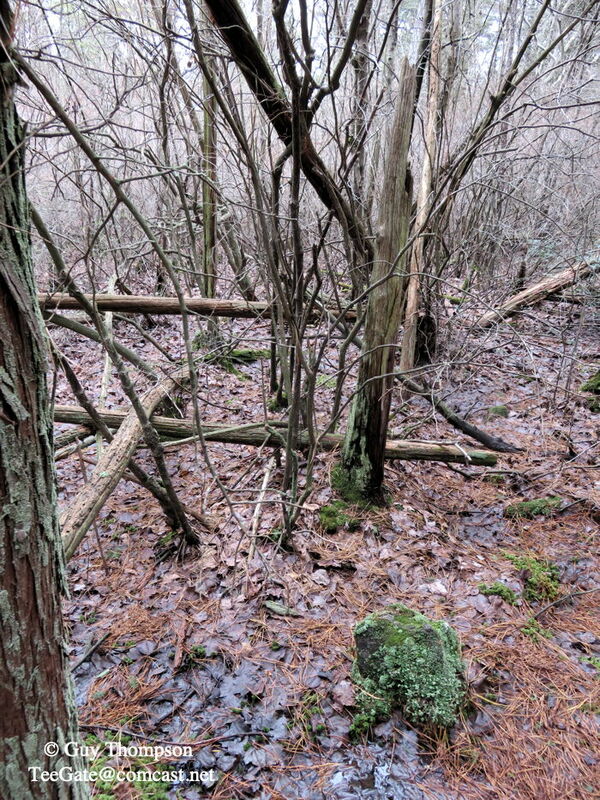 As with many stones along cedar swamps they were property corners for logging cedar. So I expected to cross a swamp and I eventually had to do that. I will post a video of me doing just that soon. Anyway, arriving at the location I looked around and found this. It is a very large stone with the letters "WH" on the top, or if you look at it from the other side on the top the letters are "HM." I am uncertain who the initials are for so I really don't know which is correct. Here is the stone when I first saw it. I took the moss off the front and was surprised to not find any letters, but eventually I realized they were on the top. This view is from the back. Almost all of the cedars are gone in this view with a few on the right and all of the others behind me. Most likely this was logged in the 1700 or 1800's. I then searched for and found three other stones on the other side of the swamp. This one is really small. This one is obviously knocked over. Most stones that look like this are standing up. And this one is on an angle but you can't tell as much. 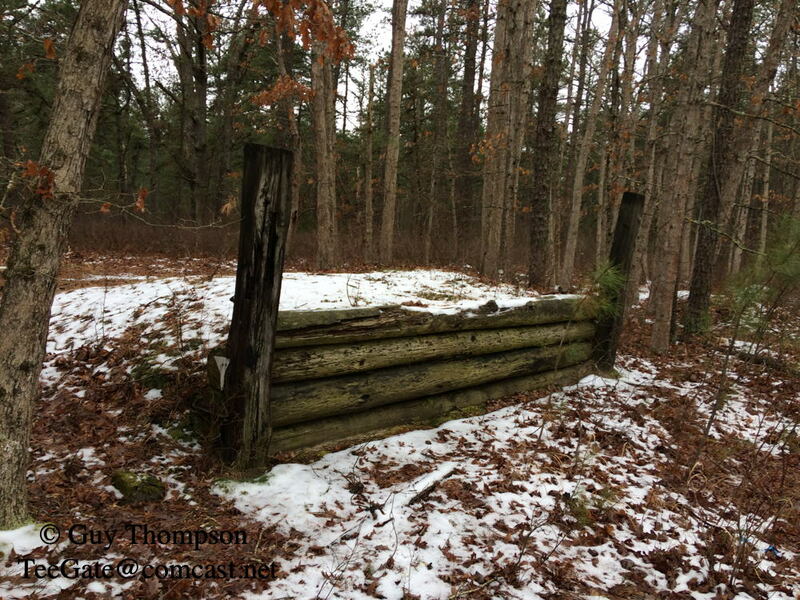 Cedar was king and the owners wanted you to know where your property ended and theirs began. RednekF350, John and manumuskin like this. Did you go in where we went in the one time and came out and had notes on are windshields telling us we were trespassing? That is a different place than my last post but I suspect you are referring to the one from the weekend. If so, no I did not. There is another way in legally which I now know about. Anyway, we did not really go illegally, we were on NJCF property where we were parked and entered. He had no way of knowing if we were on his land at some point. The stones were on state land that we visited. Looking back on that incident after looking on the Woodland tax maps the public road did not go to where we went but the road actually does. This morning myself, Jessica and manumuskin spent 4 hours wading through a swamp and briers, systematically searching for property stones. Today we came in from the south across the swamp rather than the upland from the north last week. The swamp was much better walking in than the upland briers, so we walked the edge of the swamp and only moved upland to look for the stones if needed. At our first stop we again found an AL stone. This one had a + between the letters which seemed odd. From this point on it was a bust. We struggled to every stone and found nothing. We did again visit a stone we found previously so Al could see it. Jessica and Al at the stone. By the time we were heading back Jessica was starting to feel the pain. Tonight, she is watching football but has a headache and can't get comfortable. Was laying on the bed for a short while hoping to feel better. It was a tough day. John and Jon Holcombe like this. Today we put 14,166 steps on Jessica's Fit Bit exploring and looking for stones along the Friendship Creek. Our first visit was a dud but moving on we came up with this one. Moving on along the edge of the swamp we found what appears to be a quartz stone. I think it is quarts. This one I believe has been there a long time as it marks off cedar property along the creek. 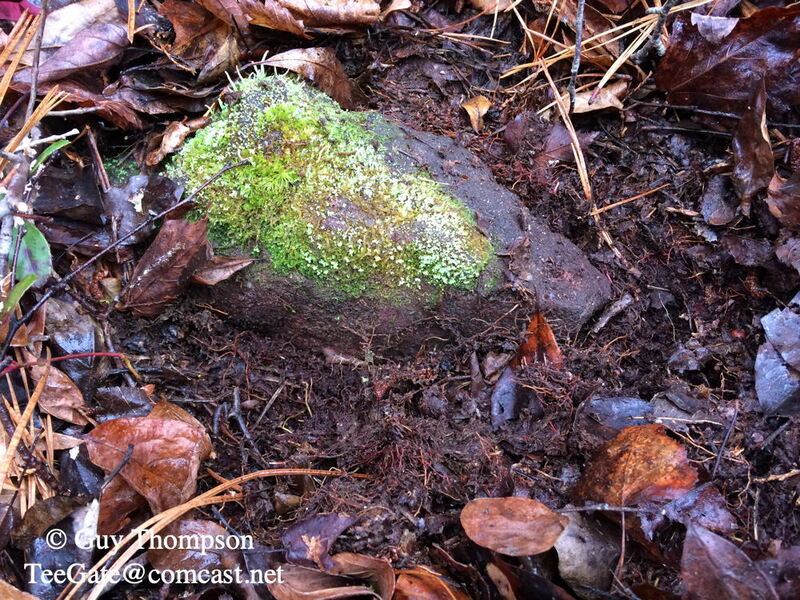 And the final stone find was very remote and again along the swamp. But the big discovery of the day was this car. Lets discuss the year and model. I believe it is a Chevy as there is a C showing on the rear fin which is on the ground. Jon Holcombe, John and bobpbx like this. My best guess is a 1955-56 Dodge. Looking at photos I would say it was not a 55 Dodge. Not sure of other years. Maybe the C on the fin means Coronet??? The 1956 looks closer. The fin is the same and the gas tank cover looks about the same. But the light covers or whatever they are called have one different length than the other on my car and the 1956 photos show them the same. So I would say no but getting closer. The 57 looks way different. Not doing well. It is not a 54. My final guess. It is a 1956 Dodge Coronet, based on the tail light. The bottom light does not protrude as far ouyt as the top light. Yea, that looks the closest. Good guess. We had things to do here so our morning was short. The goal was to find what is described many times in various old deeds as an "old sandstone" marking the corners of three properties. The properties currently are owned by the State of NJ, the Cutts family and the Thompson and Wright trust. Our first stop was at this loading dock used apparently to load cranberries onto trucks. Close by are ruins of a building. From there we tried various ways to get to the stone and many times we had to backtrack because of dense vegetation or large canals. Eventually we were able to cross a small canal and procede in the proper direction. Finally, we made it there and found the stone. And a little update to a previous post. 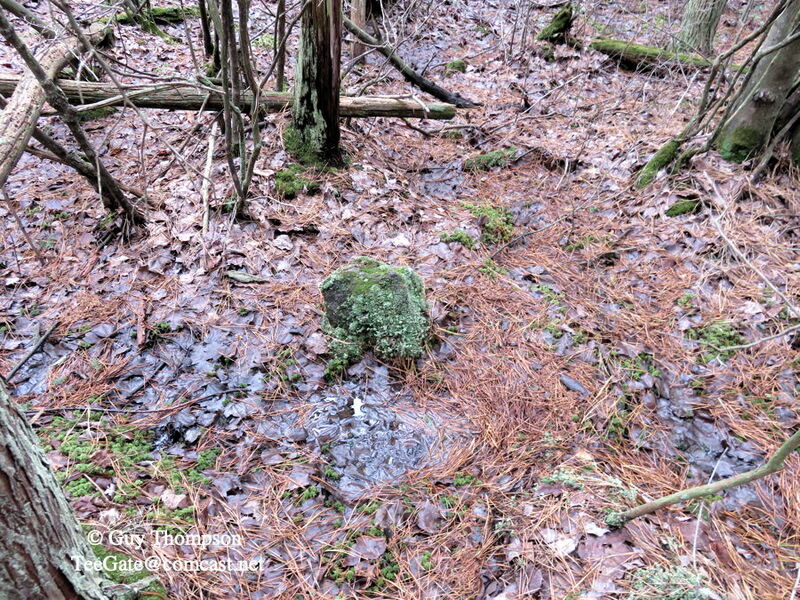 I have reason to believe the stone pictured below was the property of A. Howard Merritt who owned one of the properties as late as 1906. The HM may be Howard Merritt. manumuskin, Jon Holcombe, MuckSavage and 3 others like this. It is located along the Friendship Creek in a very remote location which is why it most likely still survives. The chances of anyone finding it are remote. Excellent name for an awesome stone.I have been injured by stones but never my tongue!